Automate your Crew CallBack's with an intelligent, rules-based system. Schedule your employees in one centralized location, for ease of use and redundancy reduction. Cloud hosted means 99.999% uptime, with no onsite hardware required. Easy employee access with Web and Mobile app's. 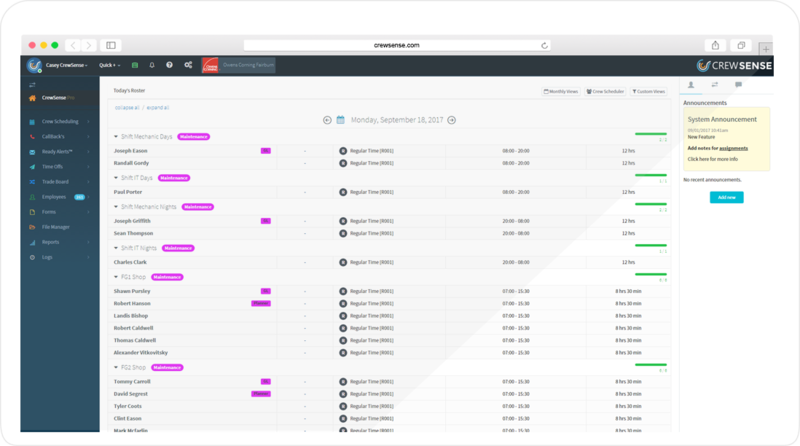 Schedule employees online, from anywhere, and say goodbye to time consuming spreadsheets. Employees can view their work schedules from anywhere, submit availability and indicate their interest in open positions. Post un-filled CallBack’s to the Help-Wanted board for easy employee choosing. 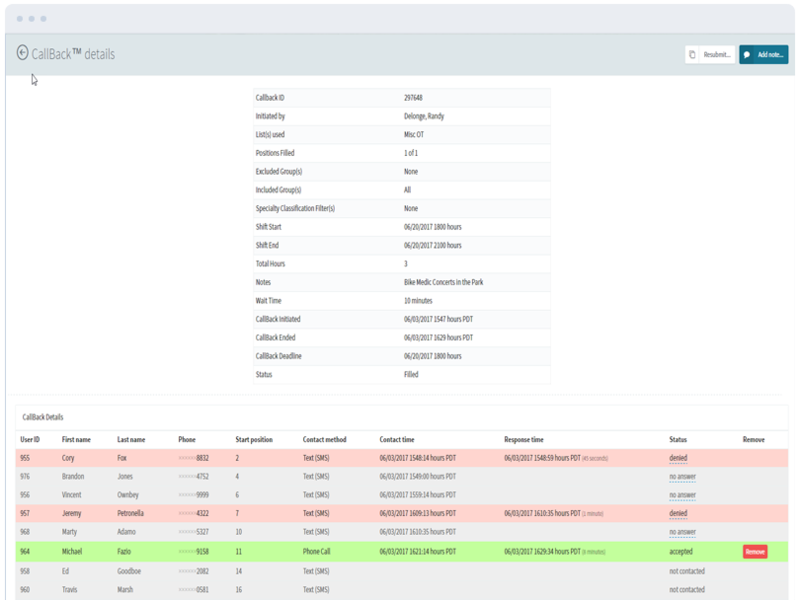 Alert all of your employees that match qualification – quickly – and watch in real time as your employees respond to the system. Turning a daunting task into a simple endeavor. 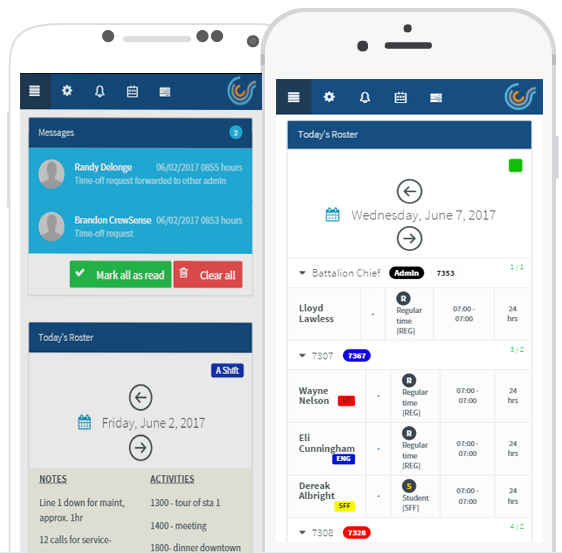 Employees will no longer complain they “never received a call” or aren’t being treated fairly for extra shifts using the CrewSense ‘CallBack’ system Fill your overtime shifts fast and efficiently using our proprietary overtime management system. Implement your organization rules and policies and the system will follows those, fairly and equitably, each and every time an overtime is sent out. Detailed record logs are kept for every ‘CallBack’, allowing employees to quickly see their rankings, responses, notification methods, etc! Employee start and end positions are also shown, allowing employees to quickly determine why they were or werent offered extra work shifts.